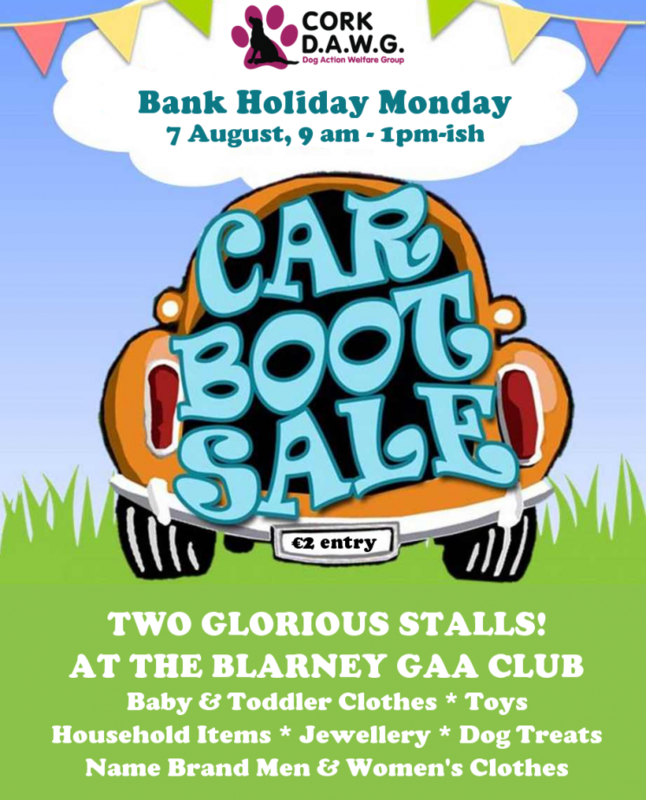 Join us on August 7th for this Bank Holiday DAWG fundraiser at the Blarney GAA club. We’ll have not one but TWO treasure filled stalls: one run by the DAWG fundraising committee, and one run by DAWG volunteer Caroline Kelleher with all proceeds going to DAWG. Our stalls will feature quality adult and children’s clothing, toys, jewellery, household items and of course, handmade dog treats and dog pampering items, too! This always-popular boot sale will be packed out with a huge array of sellers featuring everything from plants and furniture to crafts and food. Doors open to the public at 9 am and the sale runs until lunchtime. 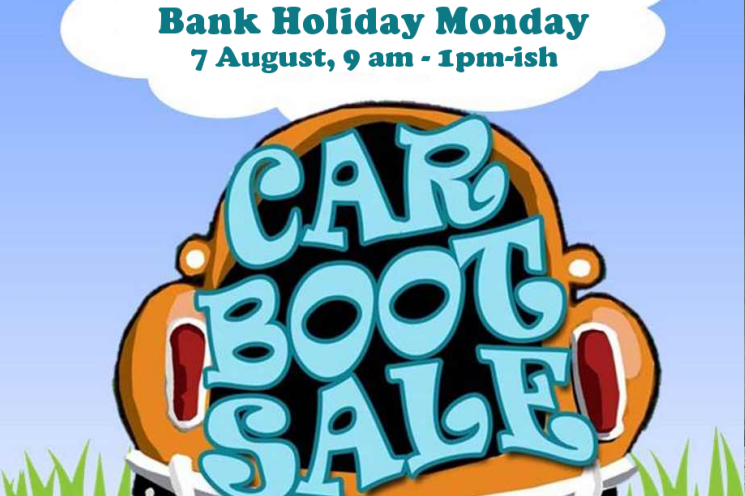 Come on down, grab a bargain, and we’ll see you there!